South America is the holy grail of footballing talent with the beautiful game being a way of life for many of its up and coming stars. Real Madrid have dipped into this market countless times before, earlier this year with Vinicius Junior and potentially now with Exequiel Palacios. Los Blancos are reportedly close to acquiring the Argentinian starlet from River Plate for a €20 million fee. If the deal is agreed, he would be expected to join Santiago Solari’s side when the window opens in January 2019. But who is the highly-rated midfielder and does he have the potential to be a future Galactico? Palacios already set high expectations as a graduate of the world renowned River Plate academy in 2015, the same academy to have produced talents no greater than Hernan Crespo, Javier Mascherano and the legendary Alfredo Di Stéfano. He made his debut for the senior side in November 2015 at the age of 17 and since then, Europe’s elite have kept an eye on his development. The Argentinian specialises in transitioning the ball from defence to the final third of the pitch through both his athleticism as well as his sound passing ability. Five games in, three from the bench, and he already has three contributions as well as a solid 80% pass completion. 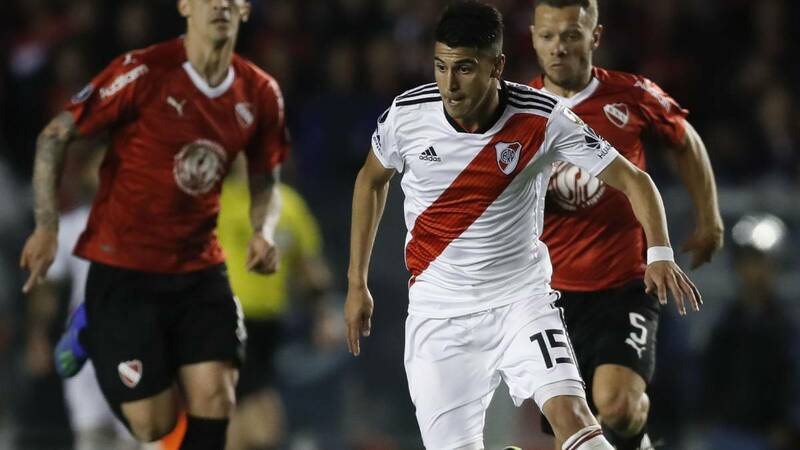 A good reader of the game with intelligent movement and positioning, the River Plate prospect is effective at recovering the ball from the opposition alongside his runs into the opposition box. The Argentine is incredibly well rounded with an excellent work ethic, technical ability and physical attributes.